Shaken by Market, Investors Look for Whole Solution Through Insurance . Overlooking adviser warnings that it can be an investment no-no, a growing number of investors are saying yes to whole-life insurance. The reason: The promise of guaranteed returns. The number of whole-life insurance policies sold was up 6% this year through Sept. 30, according to the most recent available data from Limra, an industry trade group. That compares to a 7% drop in "term" insurance, the type most often endorsed by financial planners. The spike in demand for whole life has helped spur Massachusetts Mutual Life Insurance Co. and other insurers to launch new marketing campaigns in recent weeks. Most advisers of course recommend buy term and invest the difference. However, if you are investing the difference in traditional modern portfolio theory then I can understand how the guarantees in whole life look appealing. On the other hand, if you buy term and invest the difference into a tactical strategy that is designed to get out of the market before bad turns into really bad, then a 3-5% guaranteed return doesn't sound so great. What's Really Driving This Crazy Mixed Up Market? Not really all this stuff. Markets don't go down in a straight line or up in a straight line, they have trends and countertrends. The dominant trend could be down but you will still get massive moves in the opposite direction, like today so far. Yes you usually need a few rays of hope to get them off the ground like Black Friday sales and some good news out of Europe, but then they take on a life of their own as short sellers get squeezed and are forced to start massive buying. If you look beyond the main indexes you see that volatility is not down as much as you would expect during a 200 pt up day on the Dow, Treasury yields are down, and the Euro is down vs. the Dollar---all things that make you go hmmm. We have long said that the risk vs. return potential for this market is heavily weighted toward the risk side. We could get some more upside here but it would likely be capped by all of these problems in Europe. On the other hand, the downside is immense. Until the market dynamics change it just doesn't make sense to take risk in this type of environment. Wait until we get to a period where monkeys throwing darts on the Wall Street Journal can make money. What Do They Say About the Cobbler's Kids? Don't take advice from an out of shape personal trainer, a sick doctor, or a bankrupt financial planner. Buying Bonds for Love of Country . LONDON—Unable to issue debt at affordable prices to professional investors, European governments and banks increasingly are turning to their citizens and customers for help. Through post offices and bank branches, governments and financial institutions in struggling euro-zone countries are selling more bonds directly to individual retail investors. Translation, professional investors know that our bonds aren't worth much but maybe the average person won't know any better. What happens when they run out of individual retail investors? When stocks are mostly going up, many investors believe they have the fortitude to tolerate a fair amount of risk. But as soon as prices sink, so does their gumption. They realize they really aren't willing to ride the roller coaster down as well as up. If you didn't learn your lesson before, learn it now: When your current stock exposure makes you queasy, take advantage of rallies to trim it back to a level—perhaps to around a third of your overall holdings—where you won't be tempted to bail out the next time the Dow Jones Industrial Average plummets 400 points. But remember that you'll need to own some stocks in order to increase your assets enough for the future. Otherwise, once you retire, you'll have to be ultracautious about how much of your savings you can spend without running short of money, says Mark Cortazzo, senior partner of advisory firm Macro Consulting Group in Parsippany, N.J. If you are going to come up with a static asset allocation and ride it out then this advice makes perfect sense. However, keeping your stock exposure to a third of your portfolio over the long term also means that your portfolio will never really reach its full potential and that will impact what you are able to do for yourself, your family, and society. A better idea is to be tactical. In times like these, when the risk outweighs the rewards, your portfolio should have little, if any, stock exposure. During other times when the market is in an uptrend you can have much more stock exposure. I just came back from Toronto where I gave a presentation to the Marketing Wealth Managment to High Net Worth Investors Summit. I wasn't that familiar with how Canadian wealth management firms operate before I went, but they sound just like the wealth management firms in the U.S. Which is a problem since just about all the firms in the U.S. sound the same. Our presentation focused on how important it is to differentiate your firm in a substantive way. When we talk to wealth management firms we always hear the same things: We take a holistic approach, we take time to really listen to our clients, we help our clients reach their goals, blah, blah, blah. Everyone is using Modern Portfolio Theory and goals based planning. Nobody ever seems to stop and think about whether that stuff works or not (it doesn't)they just follow the herd like a bunch of lemmings. We had a lot of interest and follow up from our presentation so hopefully we will have a chance to make a difference in how wealth management is delivered in Canada. Is The European Crisis Over? Yesterday saw a massive stock rally on news of an agreement out of Europe. So are we out of the woods? Probably not. It looks like the deal still has a lot of holes in it and a lot to be worked out. It also looks like it doesn’t fix anything; instead it just takes the most drastic outcomes off the table for now. I wouldn’t be surprised if we hear more from Europe at some point this year, next year, and beyond. What does this mean for the markets? We purely follow the trend. The market had been in a trading range and this last rally took out the overhead resistance and it looks like we might now be in an uptrend. Adding fuel to the fire are the facts that a ton of money is on the sidelines and money managers have drastically underperformed their indexes. It is likely you will see a lot of performance chasing through the end of the year. That being said, it is also likely we will see a ton of volatility and any bad news out of Europe could shift the dynamics and move us back into a trading range or a downtrend. Yesterday was an interesting day for Gold. During most of the crisis Gold has been a safe haven, going up when stocks go down and going down when stocks go up. This changed in September and this month. Yesterday stocks were down around 2% and Gold was up around 3%. It will be interesting to see if this is just an anomaly or if Gold is returning to its safe haven status but from an investment standpoint it doesn't really matter. We have long maintained that Gold should be treated like every other asset and be managed tactically. Meaning you should be in it when it is in an uptrend and out of it when it is in a downtrend. The author of this article rightly points out the main problem with the typical 60% stock/40% bond portfolio. Stocks are much more volatile than bonds so you could have a period (like 2008) where stocks go down a lot and bonds go up a little. The bonds help some but the investor is still subjected to large, unacceptable losses. The solution the author proposes is to add commodities to the mix. This doesn't really help much and it can hurt. Commodities are more volatile than stocks at times. Adding them to a portfolio shifts the dominance away from the stocks more towards the commodities. That is fine if commodities are always uncorrelated with stocks, but they are not. The real solution is to not get caught up in fixed allocations. There is no reason to have a 60/40 mix when stocks are in a downturn, the investor is taking way too much risk. On the other hand, when stocks are in an uptrend having 40% in bonds can be a real drag on returns. Market dynamics should always determine allocations. As I write this the market is in rally mode for October and we are hearing the talking heads comment about how the crisis is over. What is an individual investor to do? Markets have trends and countertrends. Trends are the dominant move and countertrends are shorter term moves in the opposite direction. The market has been going up but the overall trend is still down so for now this is just a countertrend up move in a longer term down trend. Unless you are a speculator you should pretty much ignore countertrend moves and focus on the major trend. When the trend is down then the risk of being in the market outweighs the potential rewards and when the trend is up the returns outweigh the risks. Right now we are still in a downtrend, so even though you may be able to make money chasing this market upwards the risk is extremely high. Investors are much better off being cautious until the trend changes. There will be periods like 1995-9, 2003, and 2009 where the market is in an uptrend and the potential for returns are much higher and the risk is much lower. In these periods it pays to take more risk. "The next decade will likely be one where buy and hold will generally be a fairly poor option in developed markets," Deutsche Bank analysts write in a letter to clients, MarketWatch reports." It would have been great, and saved investors a ton of money, if they figured this out last decade. Buy and hold is always a bad option. During market upturns it appears to work well along with everything else (monkeys throwing darts at the Wall Street Journal, astrology, palm reading, etc) but the market doesn't go up forever and it makes no sense to ride it all the way down. "Among fund managers with the flexibility to invest in a mix of stocks, bonds and other assets, the trend has been stocks, stocks and more stocks. According to the latest data available from fund researcher Morningstar Inc., stocks represented 55% of the average allocation fund at the end of August, up almost five percentage points from the start of the year and up from 41% at the end of 2009." "The division between investors' actions and those of the managers who run their money is only more pronounced in the international arena. Among funds that invest in a mix of global stocks and bonds, stocks made up 58% of portfolios at the end of last month, up from 37% at the end of 2009, according to the Morningstar figures." "Some funds have made even more significant shifts: The $75 billion American Funds Capital Income Builder's stock allocation has risen to 73% from 64% at the end of 2009, the $10.8 billion T. Rowe Price Capital Appreciation Fund's stake is up to 72% from 65%, and the $1.1 billion Templeton Global Balanced Fund's stock portion is at 63%, up from 46%." You would think that with the trend of the market going down funds that have flexibility would be moving out of stocks and getting less risky. It seems that the opposite is true. There are times in the market where it pays to take more risk (2003, 2009) and then there are times like now when it doesn't. If you listen to the radio or watch TV you will see a ton of commercials telling people to buy gold because it never goes down, it is a safe haven, etc. Gold is A safe haven asset, but it is not THE safe haven asset. Sometimes during a crisis money will flow to Gold, it did that last month. However, this is not always the case as this week has shown. We have had the same issues crop up this week that we had last month but this time Gold has sold off in a big way. Treasuries are still the safe haven asset of choice, they are more liquid and not as volatile as Gold. I am not recommending you sell your Gold and buy Treasuries. We happen to own both because they have been in an uptrend and we follow the trend. If the downtrend in Gold continues we will sell, if things turn around we will stay in it and perhaps buy more. What I am recommending is that you view these types of commercials and pitches with a healthy skepticism. Regular readers of our newsletter know that we have been calling for a retest of the 1100 low we made on the S&P 500 last month. As I write this the S&P 500 futures are at 1111 (close is good enough in horseshoes, grenades, and stock market levels). Our readers might also remember that we called for 7200 on the Dow back in 2008 when the market was still near 13000. Does this mean we have a better crystal ball than everyone else? No. A simple understanding of market dynamics would tell you that a retest of 1100 was nearly inevitable, unless you still believe that markets are efficient or random. Markets cannot be efficient or random because they are traded by human beings, who are not efficient or random. Because human beings are driven by greed, fear, and ignorance there is an emotional interplay that goes on in markets. Certain important lows and certain important highs become important. When we make a significant low, like 1100 in August, we typically will test it one or more times before a rally. Therefore, with the crisis in Europe far from over and nothing improving in our economic picture it was fairly safe to assume that we would see 1100 on the S&P 500 again. Just read an article in the WSJ talking about how after months of high forecasts for the year end value of the S&P 500 Wall Street Analysts are now cutting them back. What is funny is why this matters. If we can't predict where the market will be in 10 minutes how can we predict where it will be in 3 months. Also, if you have followed some analyst all year who was predicting a great year for the market what do you do now? Ever wonder why the public doesn't trust Wall Street? Merrill Lynch's technical analyst is predicting the market could crash. If you think that could happen then it would make sense to move to cash but Merrill doesn't make any money if you just sit in cash, so what is her advice? "Bartels suggests buying consumer staples, mining stocks and betting against consumer discretionary stocks to protect from the decline and volatility." Why not just move to cash to protect from the volatility? Just watched as much of a video interview with Jack Bogle from Vanguard as I could stand. He is responding to claims from Mark Cuban that diversification and buy and hold don't work. Bogle of course built Vanguard on the idea of indexing, buy and hold, and diversification. He had the advantage of timing as the market went up in pretty much a straight line from 1982-99 and indexing is better than most of the actively managed funds out there. However, if he came up with this idea in 1999 he would be thought of pretty differently in the investing world because investors in his funds wouldn't have made much, if anything over the past 10 years or so. Buy and hold works in an up market, along with anything else, but why give back all or your gains when the market goes down? Traditional diversification doesn't work either. Adding bonds to a portfolio can reduce risk but it sacrifices return. Other asset classes like international stocks and commodities tend to highly correlate to U.S. stocks in a downturn. It is time for investors to put these old ideas to bed and pursue strategies that seek to be in harmony with the trends of the market and strategies that are diversified by methodology and time frame. It is great to see a modern portfolio theory shop like Morningstar admit that momentum beats the market handily over time. Of course you then would expect them to try to find all the flaws in the data. No investment strategy is perfect. No investment strategy will work in every environment all the time, they all experience drawdowns at some point and will underperform at others. To just lump momentum investing into one bucket is like lumping stock investing into one bucket. There are a number of different ways to pick stocks just as there are a number of different ways to implement a momentum strategy. For example, what will my basket of securities be, what constitutes a measure of momentum, what time frames will I use, etc? All the research clearly shows that there is something to momentum just like the science in the middle ages clearly showed there was something to the theory that the Earth and planets revolved around the sun. Instead of sticking to the accepted dogma to say that momentum can't really work as well as advertised because it would invalidate everything else we hold to be true, a better approach would be to study different momentum strategies to see if the simple stratgies that were studied can be improved upon (hint: yes they can). Hedging Your Exposure to Fire by Dousing Yourself With Gasoline. Another reason why we think it will take a long time to fix the European problem. Fitch Reiterates Warning on China's Banking System . We have been preoccupied lately worrying about what is going on in Europe and the U.S. but potential problems in China are worth keeping a close eye on. Is The Yield Curve Telling Us Everything Will Be Ok? Treasurys' Curve Ball: Yield Spread Hints at Growth Optimism . Probably not. One of the side effects you get when you start messing around with free markets are all sorts of distortions. The Fed can bring short term interest rates to zero but they don't have as much influence on long term rates. This is the danger you can run into relying on indicators that sometimes are predictive. Pimco's Gross Has 'Lost Sleep' Over Bad Bets . Longer term Bill Gross will probably be right, Treasury yields are extremely low and you are not really getting compensated for the risk or inflation. In a rational world 3.5% 30 yr Treasury bonds do not make sense but in the shorter and intermediate term the technicals can eclipse the fundamentals. The Wall Street graveyard is littered with traders and money managers who tried to go against the trend. Remember the famous quote by John Maynard Keynes----"The markets can remain irrational longer than you can remain insolvent"
Buying out of the money puts costs you money until the market goes down, if you hit a period like 1982-99 that stinks. The right way is to create a basket of "safe haven" assets like gold, Swiss Franc, Treasuries, etc. You can also put in some stock fund or ETFs. Then trade the basket using a trend following approach. This will have you in safe haven assets at some point during a downturn and in the stock stuff in a sustained up trend in stocks. It probably will not make a killing in a down year but it should protect assets and it can make money during up years. Lets assume for a moment that research analysts can actually predict what stocks to buy and what stocks to sell. The bottom line is, and will always be, research is not a profit center, investment banking is. Do you want to be the research analyst who blew your firm's chance to get in on investment banking business with AIG come bonus time? you at set junctures, such as quarterly or yearly. younger, more bonds as you age). market is rising and equity values appreciate. and use them to buy more bonds, thus achieving that initial 50-50 ratio. Watching CNBC this morning and some guy they were interviewing had one of the best quotes I have ever heard--"Never underestimate how wrong everyone else can be". A lot of people make their investment decisions by getting recommendations from the so called "smart money" the problem with that is that these people are often wrong, sometimes very wrong. As I write this post people are debating over what Bernanke will say tomorrow, what Buffett buying into BOA means, what Steve Jobs leaving Apple means, etc. All of this is just noise if you just stay in harmony with the trends in the markets. Two weeks ago I had to rush my 8yr old to the emergency room. Somehow he had managed to knock a knife out of the rack and instinctively tried to catch it. A lot of blood and two stitches later he learned a valuable lesson about life and investing----you cannot catch a falling knife. Today I had CNBC on in the background and heard them ask someone that since emerging markets are down about 20% is now a good time to buy? I would not be surprised if they had similar segments when emerging markets were down 5%, 10%, and 15%, and will have another one if they go down 25%. If you are a long term investor and want exposure to emerging markets then now is a better time to buy than 20% ago was, but if you are a long term investor you also haven't made any money in 10 years so you may want to rethink that. If you can accurately call the bottom you can also make a lot of money, but if you can accurately call the bottom then call me I have a job for you here (you also may want to go out and buy a lottery ticket). Everyone else should wait until the trend reverses in emerging markets, you won't get in at the bottom but you also won't be trying to catch a falling knife either, take it from my 8 yr old, it is not fun. I am quoted on page 2 of this article. The key point is that every crisis is different so the safe haven commodities, if any, will be different. The key is to be in harmony with market trends. Buy commodities in an uptrend and don't buy ones that aren't. Don't bother trying to guess what the Chinese might be buying or what the weather in the midwest is going to be. I always love how the media always has to have a reason why stocks are going up or down. This morning it is M&A activity. Stocks go up and down because there are either more buyers than sellers or more sellers than buyers. Stuff like this is just noise that distracts you from what is really going on. What is really going on is the trend of the market---long term, intermediate term, and short term. Your time frame depends on what type of investor you are. We look at the intermediate term trend, which is down. Didn't We Learn Anything From Long Term Capital Management? The Trade that Killed Dighton Capital? Remember the market can remain irrational longer than you can remain solvent. As I write this we are having a triple digit up day in the Dow. Yesterday was a triple digit down day and the day before was a triple digit upday. Whenever we have moves like this you always see the talking heads on the news talking about how we have hit bottom (on the up days) or how the drop is bottomless (on the down days). If you pay too much attention to all that you will either lose lots of money or drive yourself crazy, or both. Day to day moves are typically just noise, look at the overall trend. In the beginning of the year the trend was up, now it is down. I cannot give investment advice on this blog but suffice it to say you should be doing things differently in an uptrend than you do in a downtrend. I discussedthe market crisis with Good Mornings host Chris Oaks yesterday. The interview starts about two minutes in, and runs about ten minutes. Interesting article in the online version of the Journal this morning. When you have a fund that has flexibility this is a tougher decision. All good managers will have cold streaks or periods of underperformance, you need to figure out why. Most funds however, basically just mirror an index that is based on a specific style (ie. large cap growth, small cap value, etc). They don't have the flexibility to invest outside their style box, so when the style is out of favor they are too. The answer here is easy, Modern Portfolio Theory would tell you that you need to have allocations to all asset classes, that didn't help you in 2002, 2008, or last week, and it won't help you the next time the market takes a tumble. Investors should only be in sectors of the market in an uptrend. NEW YORK (Dow Jones)--Many financial advisers urge clients to stay the course when markets show signs of trouble, as they have in recent days. Not Matthew Tuttle. When an expected rally failed to materialize from the debt-ceiling agreement, Tuttle, chief executive of Tuttle Wealth Management LLC in Stamford, Conn., began selling off exchange-traded funds and headed for safety. "Once the relief rally fizzled and we broke down, that kind of positioned us on Tuesday morning to sell a whole lot of stuff, and get into cash and Treasury bonds," said Tuttle, whose firm oversees about $100 million in assets. 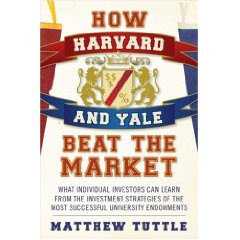 Tuttle sold off ETFs that invest in the Standard & Poor's 500 index and real-estate investment trusts as well as international ETFs. He maintained his investments in the Nasdaq-100 Index through the PowerShares QQQ Trust (QQQ) ETF and invested in Treasurys through the iShares Barclays 20+ Treasury Bond ETF (TLT). Smaller accounts are invested in two mutual funds, the Rydex Government Long Bond 1.2x Strategy (RYADX) and Rydex Nasdaq-100 (RYAOX). 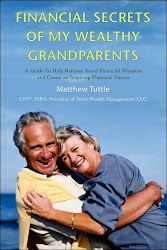 Tuttle's clients generally entrust all their assets with him, and understand that he's a tactical investor, he says. "Buy-and-hold does not work," he says. "We're 100% tactical, so if the sky is falling I will get to 100% cash if that's what I need to do." Last week, U.S. stocks, international stocks, REITs and commodities each accounted for 10% to 25% of his client assets. That's shifted dramatically. Depending on the portfolio, Tuttle now has 10% to 20% of client portfolios invested in the Nasdaq through ETFs, another 10% to 20% in Treasury bonds and between 50% to 80% in cash. At the time, making the move scared him, Tuttle said, because the stock market had initially moved up on news that a debt-ceiling agreement was in the offing. But the shift quickly saved his clients from a loss, he said. As soon as the S&P 500 broke through the 1250-point range, automated-selling programs kicked in and the index fell to the 1230s, then value investors began buying and moved it up to the 1240s, Tuttle said. Now, he said, there's a battle going on between automated sellers and value investors. "I wouldn't be surprised if we end up with a 20% decline," he said. "There's a ton of technical damage that we've done to this market, so for us to rally back from here, there's a lot of stuff we've got to fix." At some point, there will be a bounce, perhaps if Friday's job numbers are better than expected, Tuttle said. But he's not ready to jump back into the market unless he sees a rally he can believe in, he said. "I'd have to see sectors or areas of the market that are feeling strength," he said. "A one-day rally isn't going to do it. I need to see some momentum going somewhere." Click Here to read our latest research piece on Alpha and Beta. Most people just assume that the conventional wisdom is both conventional and wisdom when it is often neither. However, if they truly examined things with an impartial eye they would realize that most of their actively managed funds that are basically closet indexers are useless. Doubt we will see that coming out of the study. Just read a couple of articles in the Wall Street Journal this morning about accounting issues in China. This jives with things I have been hearing from others about problems and concerns in China. Those who know us realize that while all of this is interesting we don't base investment decisions on conjecture and prediction, only based on what the market is telling us. We don't have any direct exposure to China except for a small amount in two strategies because the market has shown that China is not the place to be. We do a lot of work with trends and momentum/relative strength so I took a look at the iShares China 25 Index Fund (FXI) vs. its 200 day moving average and vs. the S&P 500. From a trend following standpoint the FXI is below its 200 day moving average and from a momentum/relative strength standpoint it has been trounced by the S&P 500 since late last year. Now remember, we do not make recommendations on this blog so I am not saying sell China if you own it or don't buy it if you are considering it. All I am saying is that you should seriously consider a methodology that puts you in harmony with the market trends vs. a methodology that comes up with a specific asset allocation and holds it through thick and thin. I have nothing against John Paulson, he made the greatest trade in history and you have to respect that. If you haven't read Greg Zuckerman's book on this I highly recommend it. The point I want to make is that there are many money managers who place large bets based on prediction and nobody can be right 100% of the time. You will have spectacular successes and equally spectacular failures. One of Paulson's funds is down 20.9% for the year. You can have a small part of your money with a manager like this but your core money should be invested in such a way where you have a methodology that puts the odds of success in your favor, doesn't rely on predicting anything, and avoids the large losses (like 20.9%) that can take years to recover from. As oil prices hover around $90/barrel I can't help but remember it wasn't that long ago that oil was above $100 and certain to go up. Just about everyone agreed, the only uncertainty was how far and how fast. Now I have no idea what direction oil prices will go, nobody has a crystal ball, me included. That is the point. Nobody can predict what direction markets will go in, all you can do is react to what they are doing and stay in harmony with the trend. The trend in oil is down right now until it isn't. Please note I am not recommending that anyone short oil, just making a point. A recent study by Morningstar found that only 40% of fund managers invest any money in their own funds. I cannot understand why the other 60% won't put at least $1,000 in their funds so they don't get a zero. Makes me wonder what they know that the average investor doesn't. If someone who worked at a restaurant refused to eat there that is information I would like to know before I make a reservation. Just reading my daily email from InvestmentNews, the first article is about Nouriel Roubini talking about we have a 33% chance of hitting the skids (not sure where he comes up with 33%, why not 40%?). Below that is an article about Bob Doll's prediction that this correction was a buying opportunity. Who's right? Who knows and who cares, they each have a 50/50 chance so somebody will come out of this looking good and someone will look bad (of course everybody will forget the bad call they made, they just remember the times when the coin flip came up in their favor). This is no way to invest your money. When you are a traditional buy and hold, style box based, mutual fund manager there will be times when your style is in favor and you look like a genius and there will be times when it is out of favor and you look stupid. There will also be times when your market/economy calls are right and times when they are wrong. The key to making money in the market is not trying to call what way the economy is going or find a manager with a good long term track record. The key is to stay in harmony with the market trends and avoid the large long term loss, simple as that. Another example of "if it sounds too good to be true it probably is". In this volatile market environment the path of least resistance for many financial products salespeople are things that offer some sort of principal protection. These products are usually so complex the salesperson often has little idea of how they work. I don't blame people for aggressively pushing things like equity indexed annuities and principal protected notes. The commissions are often extremely high and the people pushing them often don't know any better. Investors need to better understand what they are getting into with this stuff. I have often had people ask me to look into these REITs and I have often had trouble figuring out how they were structured, this lawsuit could explain why. Lerner proclaims their innocence so we will see who is right here but this is another sign that investors need to be careful with things that are not publicly traded and they have to rely on the provider to tell them the market value. The IRS is cracking down on gifts of real estate to family members. We often see situations where mom and dad put the kids on the deed, or outright give them real estate without realizing that this is a gift (or they realize it is a gift but figure nobody will ever know). Now the IRS is looking. With the lifetime exemption at $5mm there is no reason not to dot the i's and cross the t's. I agree that portfolio construction using just long only stocks and bonds does not work and not only do investors need to be more tactical they need to be completely tactical. However, how can you say that stocks over the next couple of years will be sluggish as a certainty? Nobody knows what the market will do, that is the point of being tactical, you don't need to guess, just react. Bill Gross can't predict the market neither can Richard Marston or anyone else for that matter. Bill Gross is one of the smartest guys out there but he got it wrong in a big way. Will Marston be right? Who knows, you have a 50/50 chance when predicting what the market and economy will do, it will either be up or down. Pretty good odds for just about anyone to be right once in a while and look real smart but no way to manage your money. I was recently interviewed by NBC about the new rules that will be going into effect this year that will not allow stay at home spouses to use the working spouses income to qualify to get a credit card. This is one of the dumbest things I have ever heard. As a CFP I understand the pitfalls of too much consumer debt but the government cannot protect us from ourselves. This will also have way too many unforseen consequences. CBS came to interview me today about this for the 5pm news as well. If you are a stay at home spouse and you don't have a credit card, get one before this law goes into effect. We normally assume that since stocks have higher risk than bonds that they will perform better. This is an excellent piece by Research Affiliates that shows that this is not necessarily the case. The next time a broker tries to tell you that stocks always outperform bonds show him this. The idea that as you get closer to age 65 you should start shifting into mostly bonds not only makes no sense it is dangerous. First of all, bonds are not necessarily safe, they appear that way because we have been in a declining interest rate environment. If interest rates increase then bonds will lose value. Second, even at age 65 you still have a long time horizon, with increasing life expectancies you could live until 100 or beyond. Putting most of your money in vehicles earning 3-4% almost guarantees you will run out of money at some point. We have never been a big fan of retirees putting all their money into municipal bonds and living off the interest but the fact remains that this is how many retirees fund their lifestyle in retirement. If this law was to pass it would mean a fundamental shift in how people plan in retirement. Such a shift is already taking place as the Fed has kept interest rates so low for so long impacting other traditional retirement income vehicles like CDs and bonds. I was recently interviewed for a podcast for Eventual Millionaire click here to listen to the podcast. The elephant in the room will be what the Fed does when QE2 expires. Was quote in a Wall Street Journal article this morning on this Click Here to read the article. Not really suprising that advisers are out of touch with their clients. This is definitely an issue on investor's minds after the Egypt and Libyan situations caused big drops but at the end of the day if you follow a tactical strategy suprises don't matter too much. The real issue is not how much you are paying, it is are you getting what you are paying for? In the case of target date funds the answer is no. The idea that you should get more conservative as you approach 65 ultimately being near or at 100% in fixed income investments is a holdover from when people used to retire at 65 and didn't live past 70. Today a 65 year old could easily live past 100. The combination of retirement as a permanent vacation at age 65 with a portfolio mostly in fixed income is a recipe for disaster. I was quoted in the is article coming out in the Saturday WSJ. The real reason is that nobody can predict the market, end of story. Many people don't realize how long their 401k would last if they retired cold turkey. The old idea of retire at 65, move to FL, play golf, and have early bird dinners worked fine when people didnt live much past 65. Now people could easily live until 100 or more, no matter how much you like golf this could get boring and it takes a large portfolio to support you for 35 years. People need to rethink what retirement means as it is unhealthy not to stay engaged doing something. For some it could mean cutting down hours, others could be a job change to something they enjoy more. When people think like this they can often retire a lot sooner than they think. After QE2 was announced last year we saw all markets basically going up in unison. Gold, Commodities, Treasury Bonds, and stocks everywhere were all going up at the same time. We remarked at the time that something had to give, and this year it has in a big way. Below is a table of how some ETFs that track a number of different markets are doing this year. Many of them are negative and they are all underperforming the S&P 500 and the NASDAQ. Bottom line is that nobody knows what the market is going to do. Just by the law of averages somebody will predict major moves in the markets. We predicted on Fox News that the market would continue to go down in March 2008 when it looked like the market was recovering and we predicted on CDTV.net in October of 2008 that the Dow would drop to 7200 (it eventually went below that). That doesn't mean we will get the next one or the one after that. History is littered with people who got famous from one call and never got anything right again. According to the Investment Company Institute money has been flowing out of municipal bond funds. Ever since Meredith Whitney came out with her call on munis there has been a lot of heated discussion about the risks. At the end of the day who knows what direction munis will go in but if you are in harmony with the trends of the market you would want to avoid them as the trend is down. Your Employer Knows Best, Perhaps Or perhaps not. More employers are moving employees out of their 401k investment options into target date funds. This is due to the misguided view that as someone nears age 65 they need to get more conservative because they have a shorter time horizon. This is nonsense, a 65 year old could easily live until 100 or beyond. Having most of their money in bonds yielding 4-5% in a rising interest rate environment is a good way to make sure that they run out of money. The "smart money" is leaving the market so states are now trying to attract retail investors, I guess they are the "dumb money". We have followed the Japanese playbook on how to get out of this recession, is this what is next? Quoted in a blog for Reuters, Rebalancing Your Portfolio: Is it Time? They misquoted me a bit but the basic idea is that you should only rebalance your portfolio when the market dynamics change, not based on some arbitrary date. Interesting that CNBC.com would publish an article that there could be a mechanical system that would have beaten the market. Markets are not rational or random. There are seasonal trends like the first day of the month that can be capitalized upon. While holding for just one day a month might be emotionally difficult an investor could use something like this as a part of a larger system. Interesting article in this month's Technical Analysis of Stocks & Commodities. The author, Anthony Trongone, examined the next three days of price action in the S&P 500 SPDRs after upmoves and downmoves. While the author only used a short period of time in his analysis it was still very interesting. What many people might think is that after an upmove of 2% or more in the S&P 500 the market is in rally mode and is likely to rally over the next three days. After a down move of 2% or more, people might assume the market is in a decline and would go down the next three days. The analysis showed the opposite, on average the S&P 500 made money the next three days after a large decline and lost money the next three days after a large up move. This goes along with a lot of our thinking on using counter trend analysis to profit from overbought and oversold conditions in the stock markets.